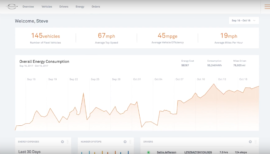 Over at CleanTechnica, we’re always excited to see something new, something smart, and something designed clean from the ground up. Enter center stage, the Chanje electric van. The Chanje electric van is a serious fleet industry game changer in more ways than seems obvious. We caught more than a glimpse at the Los Angeles Auto Show. We got a test drive of the Chanje electric van and conducted a great interview with Chanje’s Joerg Sommer, COO, and Ian Televik, Director of Marketing. We can safely say that the Chanje is a game changer for the fleet industry. 100-mile range (with half payload onboard) Note: Chanje tested with a half payload. The average customer starts with a full van at the beginning of their route and ends with an empty van at the end. A half payload is an average for van, similar to the EPA approach for passenger cars. 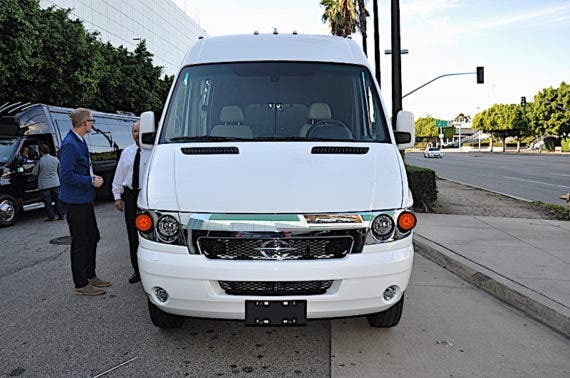 The Chanje electric van will meet the needs of many fleet owners. It will also help them transition efficiently into the electric mobility game. And the Chanje will morph into various platforms, including a shuttle bus and a people mover. I can see it as the electric answer for our friend’s family of 7 children needs as well. Before we go on, note that there are few vehicle makers that design EVs from scratch, while others convert regular vehicles to electric drive. A newer concept is that of “one platform fits all” drivetrains where manufacturers can adjust to market demands. All have pros and cons. 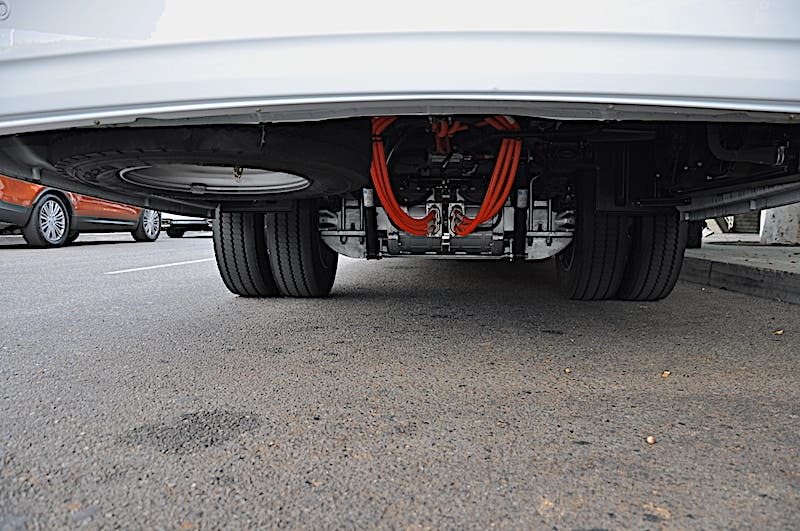 As far as the Chanje is concerned, the EV was designed electric from the ground up. Chanje wanted to bring a vehicle to the market that answers the modern needs of fleet owners. Simply put, yesterday’s technology can’t meet fleet owners’ budgets anymore. Higher gas costs and diesel maintenance make it harder for them to keep profits at a healthy level. 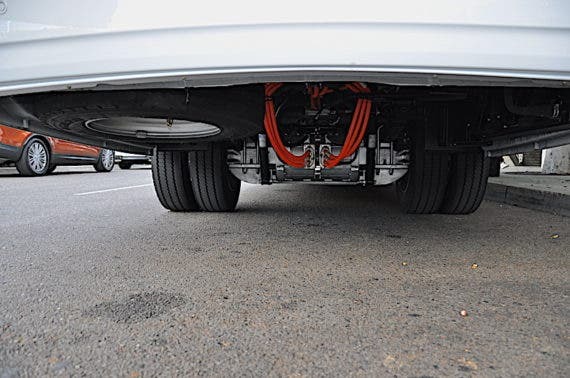 In order to help fleet owners, a few manufacturers have converted their existing platforms to electrify the vehicles. Chanje built an electric van to meet those needs head-on, bypassing any needs to convert and fiddle with a gasoline van. Designed with high-volume production in mind, it will start production next year with small, mid, and large size fleet options. With two electric motors, each powering one of the rear wheels, the Chanje uses a 70kWh battery, which gives it a 100-mile range with a half payload on board. This makes it stand out from the competition, which hovers around 60 to 80 miles with an empty cargo bay, a distance judged insufficient for most fleet owners, according to Chanje. Indeed, carmakers are very approximate with EV range, which is calculated optimistically with an empty car. Chanje offers a practical and straightforward EV for its potential clients. The Chanje electric van also comes with 50% more cargo space than comparable vehicles and replaces two similar vans on the road. Its electric motors put out a combined 564 lb. ft. of torque with 198 hp. Level 2 SAE charging is supported through a 7.2 kW onboard charger and 50 kW DC fast charging is planned for all 2018 models. On the technical side of things, we were surprised to see that the Chanje vehicle has no differential to deal with. The company wisely adopted a motor per wheel and axle configuration, which makes it very redundant. Should one fail, the Chanje electric van can get back to its home base to get serviced on one motor. Chanje says it believes it came up with a vehicle that answers 90% of what fleets need with its electric van. The company estimates that its Chanje electric van reduces 70% of the fuel and maintenance budget for a traditional fleet using diesel or similar vans and trucks. Nothing to sneer at these days for fleet owners. But the company is much more than a truck and van maker. It’s also a one-stop shop for fleet owners wanting to switch over to electricity. Chanje is a service provider, an energy provider, and last-mile facilitator. Its recent exclusive partnership with Ryder shows how much it has with its electric van. Along with an order of 125 electric vans, the partnership basically opens up 800 maintenance centers for servicing Chanje vehicles, something we know fleet owners will welcome. 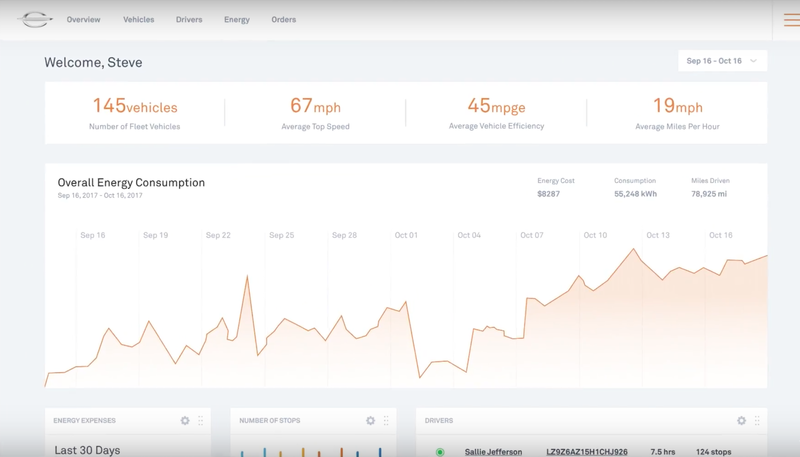 By providing all pieces of the EV fleet puzzle, especially with its energy management, Chanje can help fleet owners drive during the day and charge at night. This is a particular obstacle that has held back many fleet owners from switching. Chanje tackles this by offering an energy management system that was designed internally with both software and hardware. The company offers its eMotorWerks charging station platform that includes a solar and energy storage solution as well. 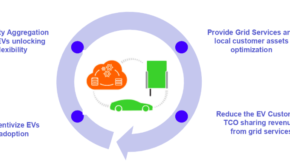 The complexities of energy management are customized per client, per city, and per state in order to maximize fleet owners’ switch to electricity. Apple lovers hail the attention put on the design of their computers. Similarly, we were struck by Chanje’s fit and finish inside and out. Commercial fit inside the cabin of a delivery van is often more of an afterthought utilitarian look, but not so for the Chanje electric van. The driver environment is also an important part of the equation for Chanje. The company did a great job making it as user-friendly as possible to reduce the driver’s stress. The cockpit is designed with simplicity but pleasing aesthetics, something often times missing with commercial vans. All instrumentation is neatly displayed at first glance. It also offers a generous display in the center where most features can be accessed and changed. The body is laser welded, making it the strongest in its category, with superior rigidity and a lightweight steel body. Stay tuned for part II of this CleanTechnica review where we continue with the Chanje design and energy management.